Four years in the making, Dambuster Studios’ Homefront: The Revolution endured a long and troubled development. Several reboots and its first publisher going into liquidation prompted studio head Hasit Zala to include aheartfelt message to players upon the game’s completion—a situation made worse by middling reviews upon release. Since, however, a series of performance patches have added new missions, fixed a host of bugs, and have generally righted some of the game’s initial wrongs. 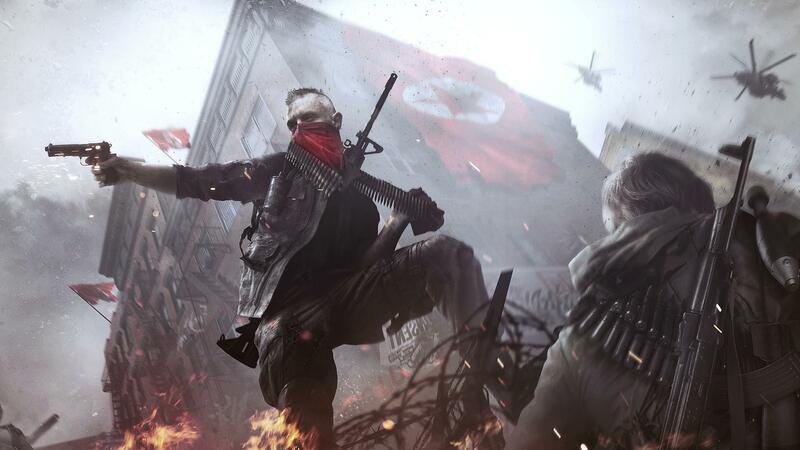 As such, Homefront: The Revolution is free-to-try on Steam this weekend and hopes to demonstrate how it’s improved—via both its single-player campaign and its co-op Resistance Mode missions. What’s more, the latest patch adds two new missions in Boom Patrol and Indy Forever. “Four years into the brutal military occupation, America is on its knees. Philadelphia – once the birthplace of Independence – has become a ghetto, where surveillance drones and armoured patrols keep the population at heel, crushing any dissent with savage force. Homefront: The Revolution is free to try until Sunday 1pm PT/9pm BST. If you like what you see, it’s also going for £17.99/$23.99 with a 40 percent discount until Monday 10am PT/6pm BST. And while we’re talking weekend Steam deals, both This War of Mine and The Talos Principle are going for 75 percent off at £3.74/$4.99 and £7.49/$9.99, respectively. Both bargains are also on from right now until Monday 10am PT/6pm BST.